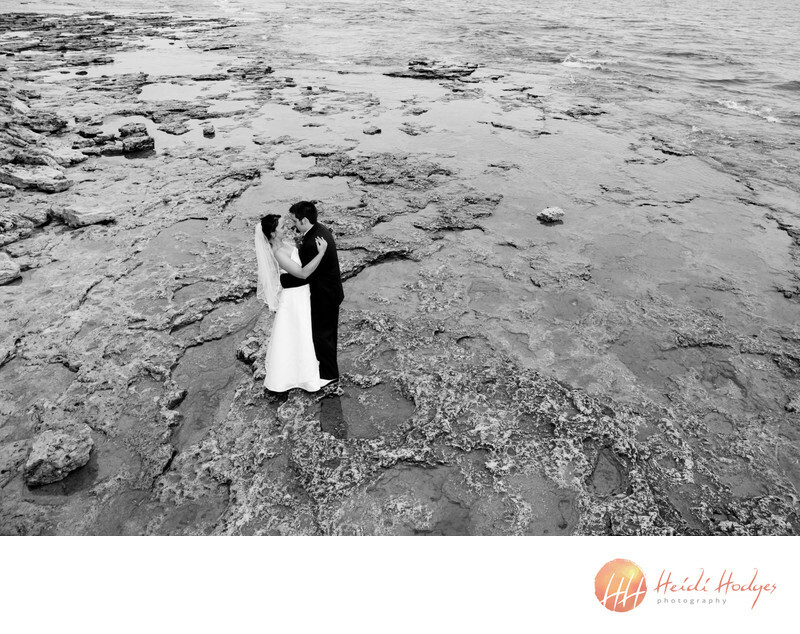 The newly-married couple embraces during a walk along the shore at low tide on Cave Point, Lake Michigan. Location: Cave Point, Door County. Keywords: Bride (42), Cave Point (6), Door County (42), groom (39), Lake Michigan (6), wedding (54). 1/60; f/5.0; ISO 200; 18.0 mm.